With each passing day, we rely more and more on technology to be the invisible hand that guides us. We have cars that can parallel-park themselves and ovens that can be turned on and off remotely via smartphone. We receive personalized recommendations, based not only on our past activities but also on our browsing history and the online “likes” of our friends and family members. Need to find a good Italian restaurant in an unfamiliar city or be reminded when your car needs an oil change? There’s an app for that. We may not be living in the age of The Jetsons quite yet, but that future may be a lot closer than you think – especially if mega-companies like Google continue to push in that direction. Over the past year, Google has spent billions of dollars to cement itself as a key player in the “Internet of Things” movement. One of these activities was the $3.2 billion acquisition of Nest, an innovative company that is reimagining the design and functionality of thermostats and smoke alarms. Why is Google so interested in thermostats that can program themselves and smoke detectors that talk to you instead of just beeping? The same reason it’s interested in self-driving cars, robotic dogs, and anything else related to artificial intelligence and learning algorithms. It’s all about the data. 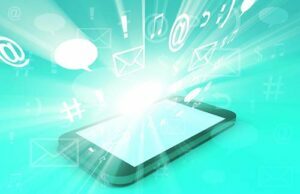 The data that smart tech uses to make our lives less complicated and more worry-free is the same data that defines our personal habits and where we float in the sea of marketing demographics. And, that latter information is extremely valuable in the hands of an entity like Google. Apple unveiled HomeKit on June 2, 2014. This new suite of tools opens the door for smart home products to be integrated more deeply into Apple’s mobile OS. In 5-10 years, when people buy a house, will they really be buying a bundle of hardware components, connected by software and encased in the brick or wood design of their choice? Don’t think we’re quite there yet? A team from Stanford has already made incredible progress in the design and construction of a smart home model that is both sustainable and affordable, and there are quite a few other players moving along that same path. How Will This Affect Your Security Alarm Business? Over the next five years, we will continue to see rapid advances and changes in the technology that people use to manage their homes – and some of these technologies will likely be “hard-coded” in the framework of newly-designed houses. Do these possibilities excite you or fill you with dread? If you own a security alarm business, now is the time to step back, take stock of your existing resources, and think about how comfortable you would be if you were forced to move your company in this direction in order to keep up with competitors. If you haven’t thought about selling your business in the past, it’s an option you may want to consider now before your services and methodologies become outdated. Need a little help pulling all of the facts and figures together? 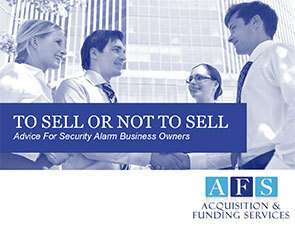 Contact Rory Russell at AFS for a free confidential valuation for your security alarm business. 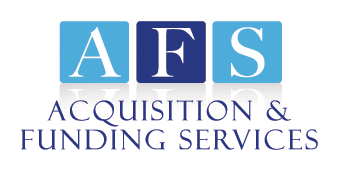 With over 18 years of experience, the team at AFS can help you decide if your best option is to sell or to reinvest in your company – and then do all of the legwork to execute your desired plan. Make sure that your future choices stay in your hands, instead of being thrust upon you by market forces. Give AFS a call at 800-354-3863 today. Want all our insights and advice in one place? 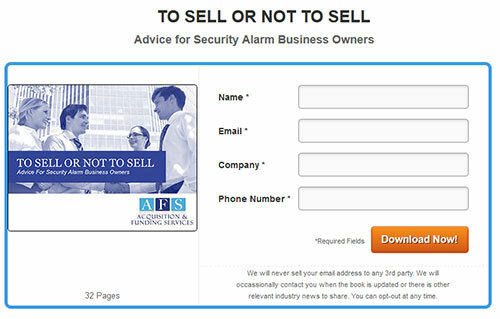 Download our informative ebook. It’s FREE and filled with industry advice on when to sell and how to get a premium price for your business. Then, continue reading below for more information on where the alarm industry is heading. © Rory Russell and Acquisition and Funding Services, 2014. Unauthorized use and/or duplication of this material without express and written permission from the author and owner is strictly prohibited. Excerpts and links may be used, provided that full and clear credit is given to Rory Russell at AFSSmartFunding.com with appropriate and specific direction to the original content.